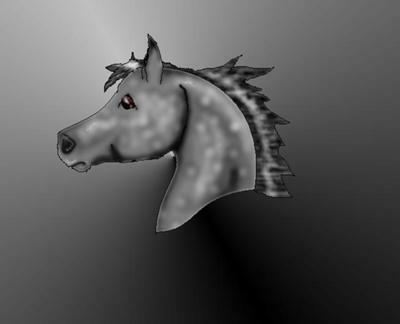 This is a rose-grey arabian I drew on MS paint and Paint.net. It only took me about half an hour, I really need a tablet though, the lines could've been straighter, and I forgot to layer it so that the black lines weren't there! :o I really haven't been drawing on the computer for a while and I need to get back at it! I've been working on ink-pen drawings lately. Wow that is a really good picture!